Celebrate spring with gorgeous legs highlighted in a stunning pair of heels. 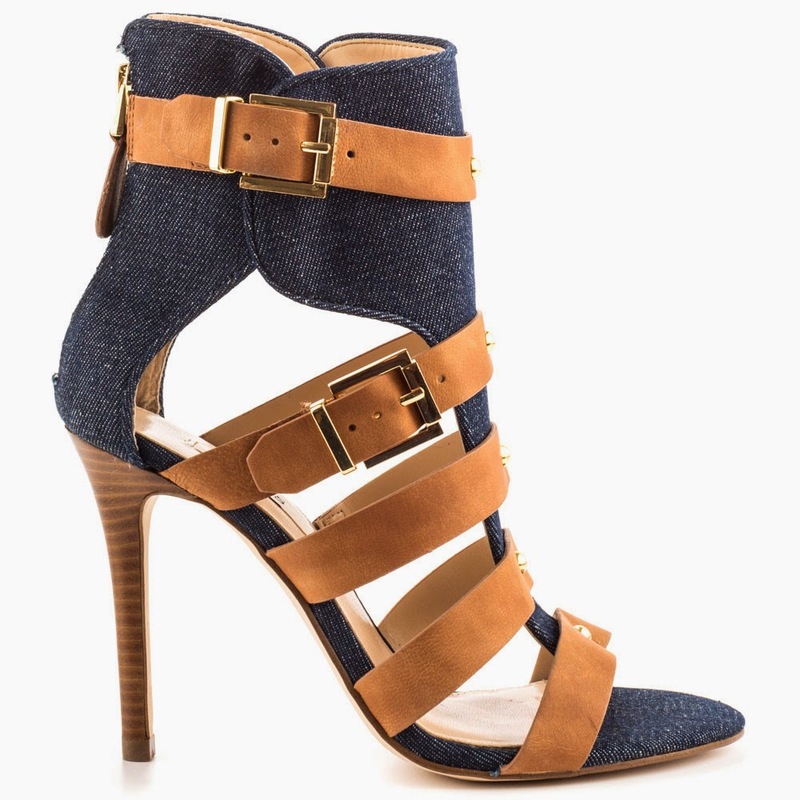 What better way to welcome the warm weather than with a very chic, on-trend gladiator sandal. The GUESS Lany Gladiator Sandal features a two-toned tan leather and soft denim upper, highlighted with sleek straps; the open-toe silhouette also boasts a single sole, gold-tone hardware details with modern finishes, and a 4 1/4" stiletto heel. Not a fan of denim? The Lany also comes in a gray multi leather and a taupe camouflage print.